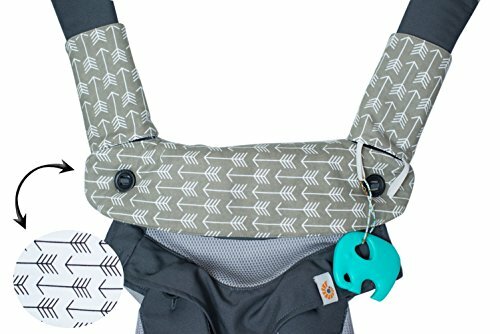 ARROW DESIGN | The teething pads will provide many fun ways to protect and switch up the looks of your high priced baby carrier. The classic arrow print is gender neutral, perfect for every parents and babies, and a great baby shower gift. EASY MACHINE WASHABLE | Cleaning the pads are easy, simply machine wash in cold water and have them fresh again in no time. It will save you time from having to wash the carrier each time from baby drool or spit up.